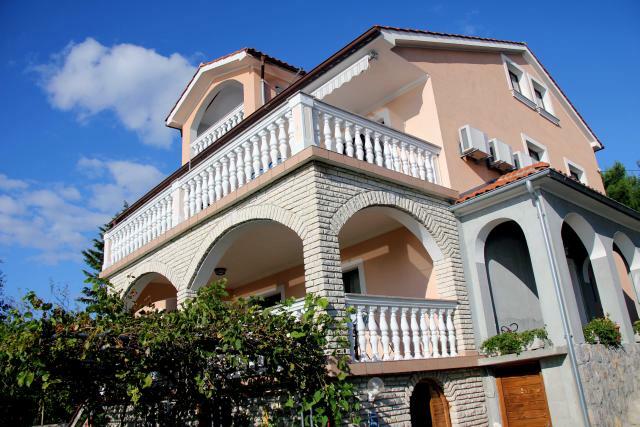 If you are heading to the island Krk, and are looking for accommodation in the town, which is located just behind the Krk bridge - Omišalj, then you should read this article about apartments Bačić. If you are heading to the island Krk, more precisely in the oldest city with tourist tradition, which has already started 100 years ago – Omišalj, I strongly recommend that you choose to stay in apartments Bačić. While exploring the town Omišalj and writing a tourist guide about island Krk, me and my colleague Tomaž also stayed in apartments Bačić. 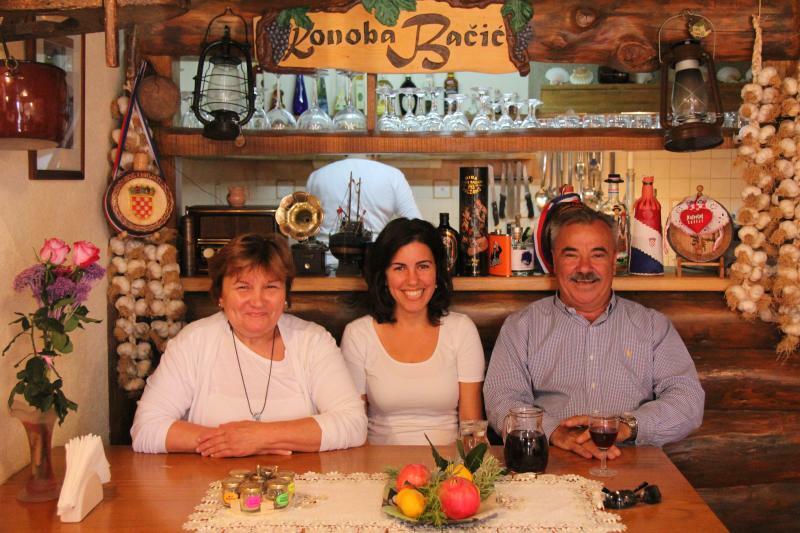 Mr. Vinko Bačić together with his wife and daughter made us a very warm welcome. First we hang out in a great atmosphere over dinner at their very pleasant restaurant, where guests can optionally ask for breakfast, lunch or dinner. Many ingredients that they use in their kitchen can be found on their delightful landscaped garden, located at the courtyard. After dinner Mr. Bačić toured us through the apartment. In the apartment we were greeted with a bowl of local grapes and tangerines. Like all other apartments in the house, this one was also equipped with a sat TV, air conditioning, kitchen, bathroom and a large terrace. Right next to the house there is a parking place meant for guests. 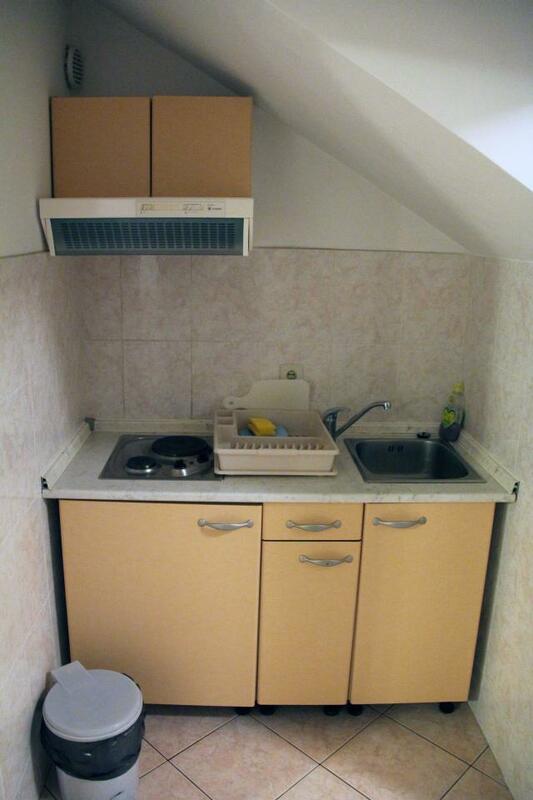 They offer several apartments, which are suitable for 2 to 6 people. The apartments are located about 20 meters from the sea and about one kilometer away from the city center. You can reach the old town by car or take a walk on the beautifully decorated path that runs along the sea, which is also wonderful for a morning run. The whole family was really nice, very helpful and friendly and most importantly they don’t lose their sense of humor. Mr. Vinko was a manager of the famous Hotel Delfin for a while, so he is used of working with guests. It can be seen that the whole family truly enjoys this business, which is also reflected in satisfied guests who like to return every year.